This applies to all walks of life – and especially to the brick and mortar retail world. With stiff competition at every turn (both online and off), you need to be at your most powerful to give your business the best shot of thriving. Don’t get us wrong – just reading books without application won’t help your business out. But as life-long readers will attest, the more you read about a subject, the more knowledge tends to “sink into” your brain. You start to act in more intelligent ways, even if you don’t remember the exact source of your newfound wisdom. And while books aren’t the only way to upgrade your business skills, they’re a pretty affordable and straightforward way of doing so. That’s why we’ve assembled 6 of the top books for brick and mortar retailers out there. 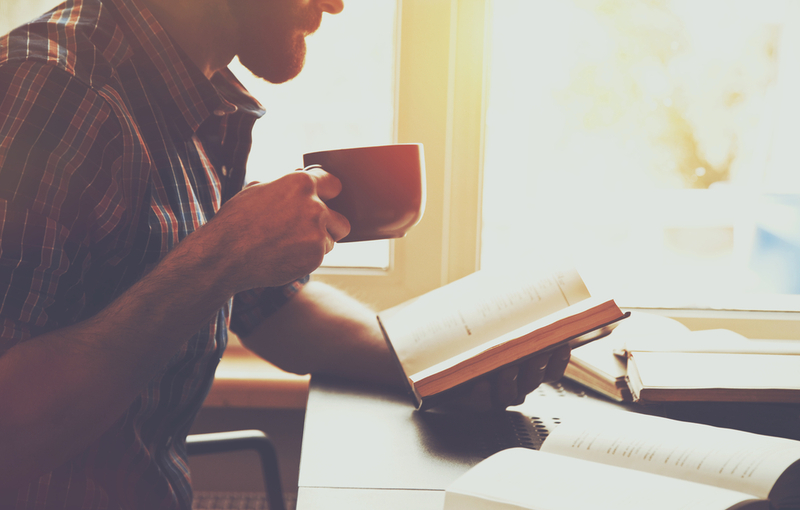 Some of these books are very specific to retail business, while others are about entrepreneurship in general, or managing your own personal energy and decision making. What do these books have in common? Each and every one of them can help give you (and your business) the added “edge” you need to have a retail store that’s consistently profitable in the long run. Not sure which book to read first? Click here to download our bullet point summary guide to each of the top books to help you decide! 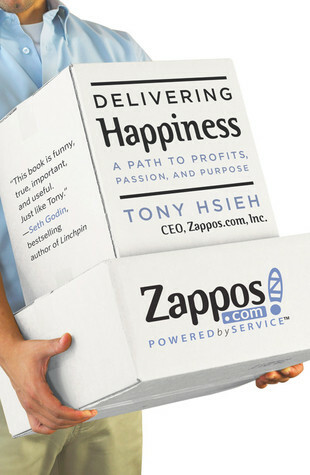 This instant classic by Tony Hsieh recounts his tale of starting Zappos, a massively successful online shoe delivery company and scaling it to acquisition. The book also goes into the background of Tony’s personal journey as an entrepreneur, sharing business lessons along the way. While Zappos is an eCommerce business, there are plenty of ideas within Delivering Happiness that apply to brick and mortar retail. However, if you’re looking for a “nuts and bolts” business book, there are others on this list that would serve you better (such as #2 Why We Buy and #6 The New Rules of Retail). What Delivering Happiness does is give you a sense of how personal values can be used to create a strong, coherent company culture, which in turn can lead to massive business success. Delivering Happiness is a fun read that uses a lot of storytelling. If you’re in the mood for something uplifting, or if you’re not a huge reader to begin with, either the Audible or written form of this book should be next on your plate. 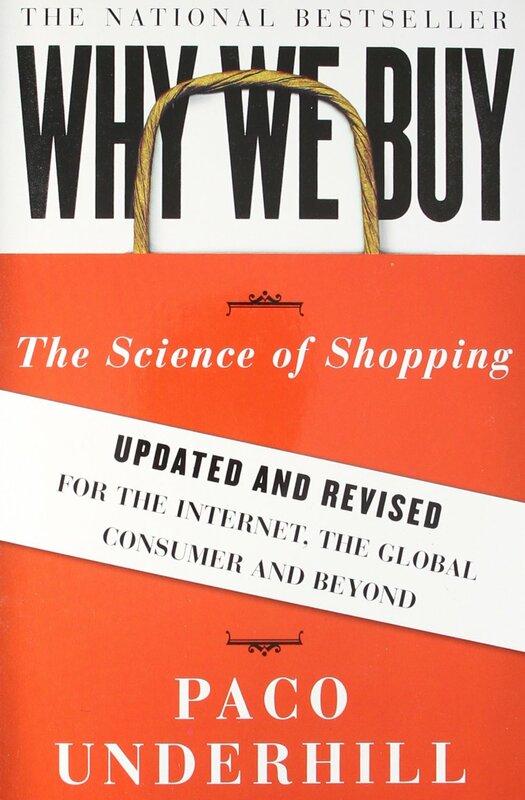 Paco Underhill is a self described “revolutionary retail guru” who leverages his extensive customer research experience in the retail fields in this updated classic. “His fundamental research methodology is to track customers as they move through stores; observe (unobtrusively) their browsing and purchasing patterns; and take detailed notes of how long they spend in each area of the store, what they touch and look at, what they buy, how much they spend, etc. etc. Why We Buy contains a wealth of anecdotes and retail lessons you can apply immediately to your own business. It should be required reading for any retail store owner or manager. Do you know what the difference between effectiveness and efficiency means for your business? Effectiveness refers to choosing the right priorities to work on in any given day, hour, or moment. Efficiency refers to doing work in a fast, capable manner. While efficiency is quite important, Essentialism makes a compelling case for focusing on effectiveness in order to create a more successful business (and more fulfilling personal life). He does this by looking at the world through the viewpoint of “Essentialism,” which is all about stripping away everything from your life that is not absolutely crucial. This is in not to be confused with minimalism, which simply advocates having less in your life for the sake of having less. 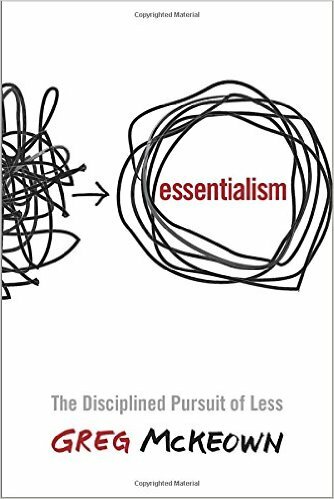 If you find yourself constantly working on busywork that never seems to lead to any real progress, read Essentialism. If you feel like you’re currently “spinning your wheels” in your life and/or business, read Essentialism. If you’re looking for specific, retail advice, read Essentialism – and then read The New Rules of Retail or Why We Buy. Michael Gerber has become somewhat of a guru in the entrepreneurial ecosystem. To be fair, his guruship is deserved. The man has a lot of excellent insights into the pitfalls small businesses run into, and how small business owners (like yourself) can avoid them. 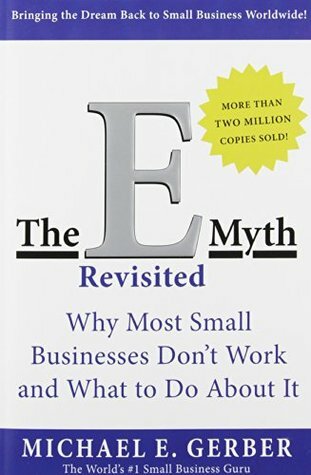 The central idea of this book is what Gerber refers to as the “Entrepreneurial Myth”, or “E-Myth” for short. This is the myth that someone who enjoys and is skilled at a certain job (such as baking bread) will enjoy and be skilled at a business around that job (like running a bakery). Gerber says that most fledgling entrepreneurs try to do all of the functions of their business themselves, or with one or two employees who each have to perform several job roles. This leads to either burnout on the small business owner’s end, or burnout later when a key employee quits. Either way, Gerber advocates using processes to make the business run more systematically. However, Gerber goes a bit far afield with his recommendations, so take them with a grain of salt. Specifically, he recommends setting up your processes so that “extremely unskilled” employees could do them, implying that you can (and should) hire the cheapest labor possible. We don’t agree with this train of thought, but the overall idea of making your business processes as simple and repeatable as possible is very sound. You currently feel like you’re doing everything in your business and you’re tired of it. You want to be able to take a vacation from your own business! 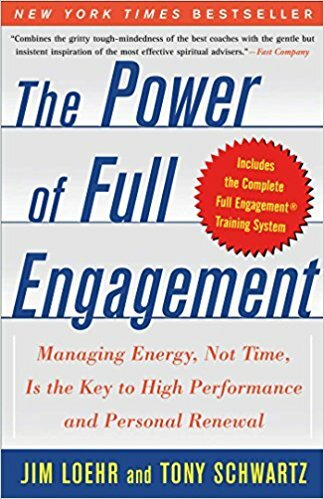 Tony Schwartz is a management consultant who teaches high-powered executives how to be more effective in their daily lives. The Power of Full Engagement is a synthesis of his knowledge and experience with clients. It’s a practical, easy to use book that is based on science, common sense, and a splash of unconventional wisdom. Tony’s basic idea is that if you take good care of your mind and body, you will perform at a higher level throughout the day. Common sense right? But then Tony takes it a step further – he advocates working in 90 minute intense “work sprints” followed by periods of intentional renewal. While his methods may seem extreme, the results he gets are quite remarkable. You want to learn how to get MORE done while feeling healthier and happier at the same time. 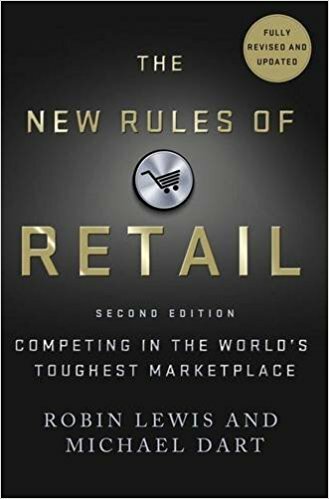 The New Rules of Retail uses a blend of academic research and conversational writing to talk about big, overarching trends that not only happening at this moment, but will reshape the retail world in years to come. It does so primarily through case studies, such as examining the success of Vanity Fair – they declare it possesses “the best-managed supply chain in its industry.” They also examine 5 movements which are currently dictating consumer demand. If you’re passionate about retail and interested in seeing the big trends that are currently reshaping the retail industry, The New Rules of Retail is just what you need. If you’re not growing, you’re falling behind as a retailer. However, as you’ve seen with the books we’ve provided, growth doesn’t have to come from hustling harder or working more hours. Instead, growth can come from making more strategic decisions, doing less of the unimportant, and knowing the retail landscape more thoroughly.